Tequila Agavales is produced with only the heart of the best Blue Agaves grown in the Jalisco region. The result is a fantastic tasting tequila. It is produced in four column stills for the purest flavor. 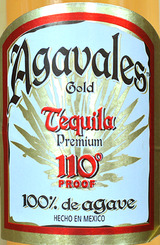 Agavvales is the perfect tequila to use in margaritas or as a shooter.